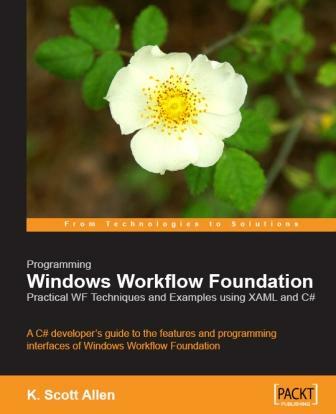 I spent a fair amount of time this year with Windows Workflow Foundation. I wrote about WF and posted a handful of articles about WF here on OTC. However, not everything I wrote ended up online…. Order now and avoid the rush! Congrats on the book! Ordering now! Thanks for catching that, Bryant. Congrats, I have been waiting for this release. I am sure I will enjoy it and I will share it with South Cone Community.